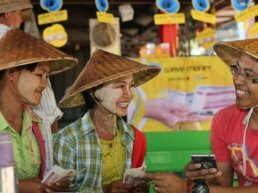 Connectivity is a fundamental service for human development – access to a mobile phone or internet connection can bring access to key services like education and health information, to mobile banking and weather updates. While mobile phone access is almost ubiquitous, there are still 1.09 billion people lacking access to a mobile broadband connection. Telenor Group aims to empower societies across the world not only by providing access to telecommunications, but leveraging the benefits of mobile connectivity to reduce global inequality and accelerate sustainable development. 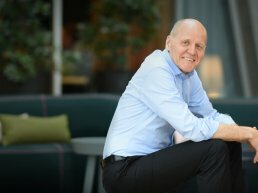 Telenor Group is a leading telecommunications company across Scandinavia and Asia with 174 million customers and annual sales of around USD 13 billion (2018). The company holds #1 or #2 positions in most of their markets. Connectivity has been Telenor’s domain for more than 160 years, and their purpose is to connect their customers to what matters most. Telenor Group is strongly committed to the Sustainable Development Goals, with a central focus on SDG 10 ‘Reduced Inequalities’, due to their strong conviction of the power of connectivity to bring people closer together. Across all business units, they are committed to multiple initiatives including teaching children and young people to be more resilient online, using mobile technology to increase birth registration, connecting unbanked populations to financial services, and fortifying occupational health and safety and human rights across their extensive value chains.